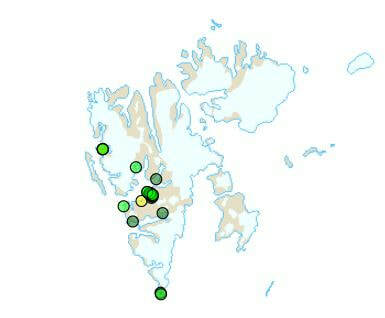 Occurs annually but very sparsely mainly on west Spitsbergen and on Bjørnøya. Groups of more than two pairs or an autumn flock (brood of young) are rare. Features: 51-62 cm. A slim duck of Mallard size. 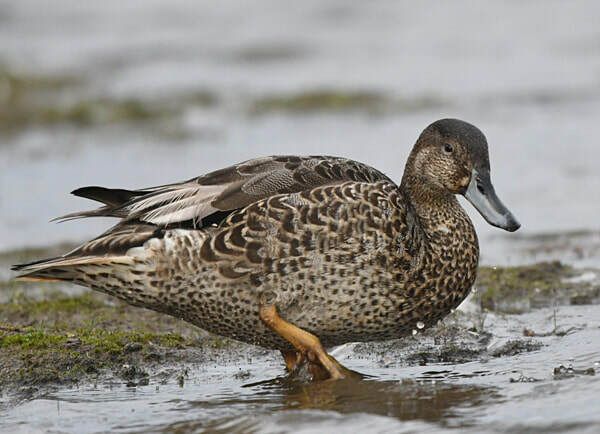 Females, juveniles and males in eclipse plumage (late summer plumage) are speckled brown and can then be easily confused with closely related species like Mallard and Gadwall (very rare visitor). ​Breeding: Probably makes annual breeding attempts by fresh water with fertile vegetation. Has been found breeding in Adventdalen, in Ny-Ålesund and on Bjørnøya.